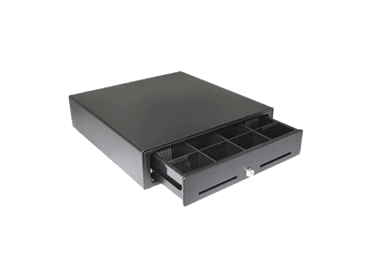 BCD410 cash drawers from Unique Micro Design connect directly to POS printers or other triggering devices. Two media slots in front of the drawer allow for easy insertion of cheques or credit card slips without the need to open the drawer. BCD410 cash drawers provide a robust, secure and easily operable design and offer a clear choice for the retail industry.